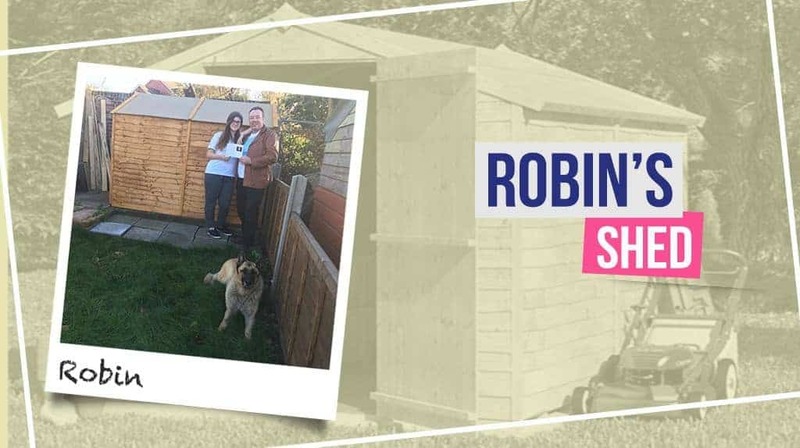 Careful planning, a strong physique, crafty hands, and a company of two or three are some of the skills needed in shed assembly. Experience is definitely a plus, but a good assembly instruction will also get the job done. 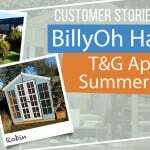 It was an early 6:30AM weekend morning when our lorry delivered the BillyOh Storer Overlap Shed while Robin was at work. The flat packs were placed outside the front door since our drivers are instructed not to create unnecessary noise at an early time of the day. Ellie, Robin’s daughter, saw the flat packs and carried it inside the house and into the back garden. 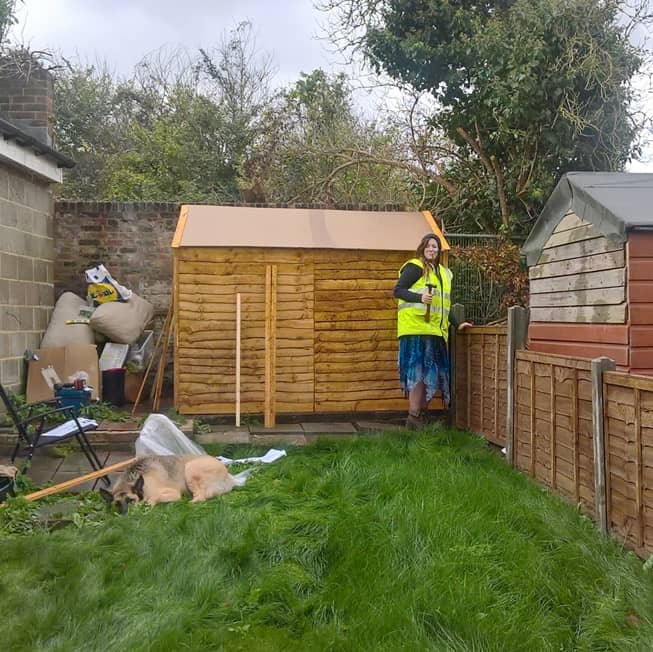 It’s amazing how she erected the whole shed and even reinforced it, all by herself! What’s even more amazing? She is only fifteen years old. 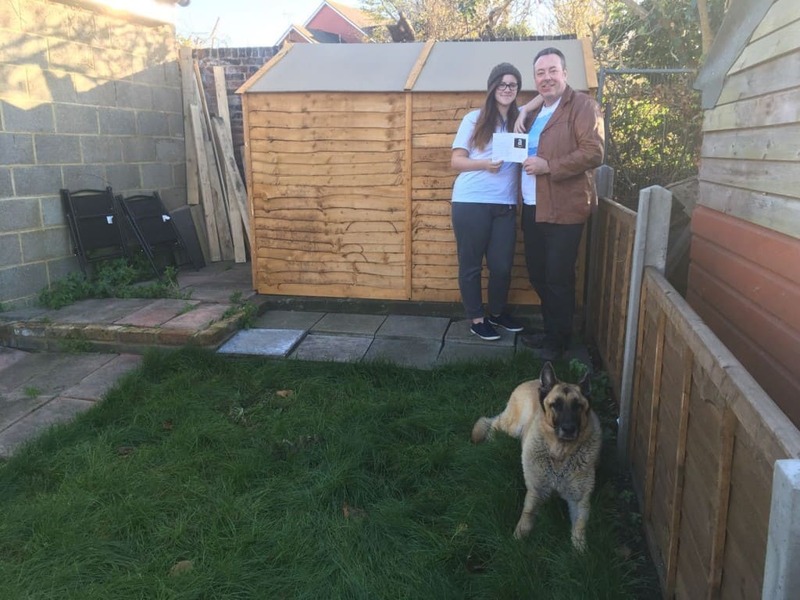 “Price drove the decision overall, I was basing my purchase on an 8×4 shed on a variety of websites and magazine articles. 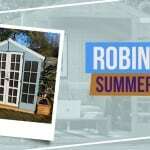 Well done to Garden Buildings Direct for this as well, we couldn’t be happier with the result or the price.” he says. “The website was clearly written and there were no frills options and incremental options which I liked.” he adds. 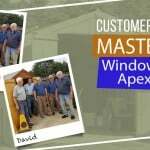 “Buying the shed was easy online and the website was very helpful. The delivery came when it was expected even though my daughter had to get it in the house herself (It was left outside the front door). Building it was simple. My daughter, 15, said she was left to erect the shed while I was at work that weekend. The provided fixings were ample but she reinforced the roof fixing with additional screws. Thank you, it’s a good thing to recognise good works when they have happened. The voucher goes a long way to impressing upon small people that hard graft pays dividends.” he continues. Won’t you love to have a shed of your own now? 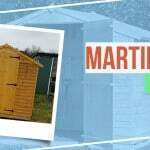 Check out our sheds and storage in our website to see if there are discounts you can take advantage of. Especially now that the holidays are almost at arm’s reach. If 15-year-old Ellie can do it, so can you.